Democratic convention chatter dominated the social media conversation last week, but brands largely stayed away. Instead, brands like Häagen-Dazs, Taco Bell and Takis tickled fans with interactive experiences and humor. Expect them to get a little more involved this week, when the Olympics kick off in Rio. Indeed, judging by last week’s activity, some of them can hardly wait. Marketers are always looking for innovative ways to engage with consumers. 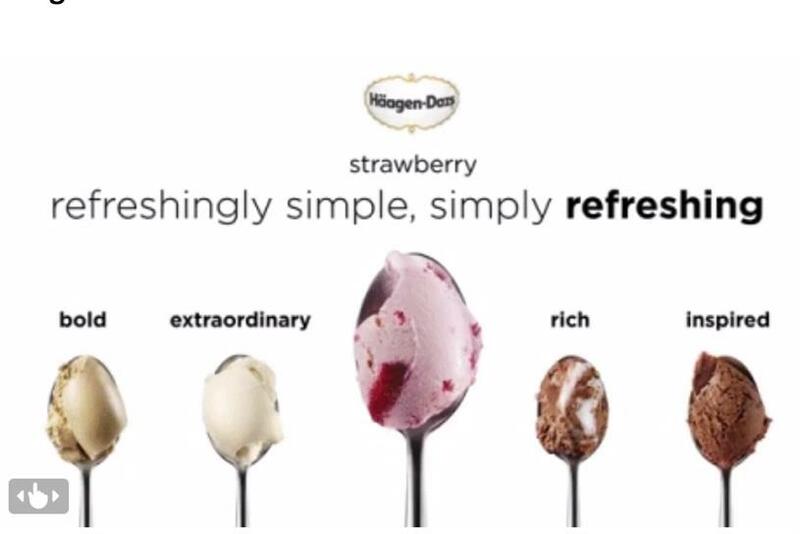 Last week, Nestle-owned Häagen-Dazs brought an interactive experience to Twitter that accomplished just that. Generating 1,942 likes and 253 retweets, this post lets viewers slide their cursors over spoonfuls of different flavors of ice cream to get details about each flavor. When viewers slide over the coffee flavor, for instance, the image of the spoon expands and the text reads, "The same bold cold brew since 1960." Unfortunately, some commenters wrote that the ‘slide’ experience had glitches. I wish I was full of tacos instead of emotions. The fast food brand has a large following on Twitter, 1.75 million to be exact. Last week, an amusing one-liner—"I wish I was full of tacos instead of emotion"— received 9,741 likes and 10,017 retweets. In this Facebook post, Takis photoshopped a hand with an extraordinary number of fingers holding a giant pile of the brand’s chips. The post garnered 91,000 impressions and 5,882 shares. In the 3,300 comments, people expressed their frustrations at trying to find the chips in their locations. #TeamUSA athletes are the focus of United Airlines’ latest commercial, called ‘One Journey. Two Teams.’ Posted a week before the start of the 2016 Olympics in Rio, the post received 1.6 million views, 16,000 impressions, 21,543 shares and 520 comments. The clothing giant chose lifestyle blogger Daniel Preda to model in this tweet for its Dockers brand. The tweet got 1,664 likes and 288 retweets. Preda @MisterPreda has 129,000 followers on Twitter and retweeted this original tweet. In an Instagram post that generated 121,000 likes and 1,221 comments in four days, the gaming brand posted a photo of a store display of Xbox One controllers. The photo shows an array of the different colors consumers can choose from. The brand ties the variety into the text of the post—it simply reads "mix and match."